Maniacally plain yet timeless in its design. Spawned in 1966, the Lamy 2000 was proclaimed the pen of the future and its longstanding duration is a testament to its foresight in simplistic design. 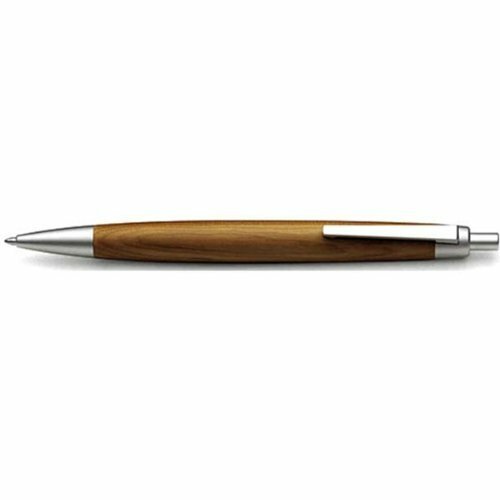 Now the classic 2000 reintroduces itself in the Taxus ball pen basking in a warm, golden yellow yew wood. The unique yew wood surface contrasts well with the matte silver button and front section of palladium-coated brass and the clip of palladium-coated steel. The Lamy 2000 Taxus stays true to its pedigree as a quietly elegant pen incorporating faultless function with soothing design.